I have a cousin who’s a plumber. Jon. This guy knows almost everything there is to know about plumbing, joints, leaks, soldering; I mean he’s good. Occasionally I try to repair a minor plumbing problem at our house and it usually ends with some unsightly stains on our kitchen ceiling. Jon makes it look easy to fix those things. It’s what he does. As good as Jon is at plumbing, I’m not going to call on him to perform my next hip surgery, nor would I call my doctor to help fix my shower drain. Stay with me, this analogy is getting somewhere. Unfortunately in aviation lately, there seems to be more instances of non-aviation sales professionals acting on someone’s behalf in the purchase or sale of an airplane. These individuals include mechanics and certified flight instructors. Some are also professional pilots. The ones I have met in my dealings are consummate professionals in their respective fields. The instructors have an incredible depth of aircraft systems knowledge, the mechanics are great wrenches, and the pilots are great sticks. They are much more proficient in those areas than I could hope to be lacking their decades of hands-on experience. This role-expansion is causing more problems than it seems to be solving. Why is that? If you think it’s expensive to hire a professional, wait until you’ve hired an amateur. My friend who is a professional flight instructor is one of the best out there – hands down. The people I refer to him speak very positively of their experiences. Recently we’ve been working in aircraft deals together where he has been hired to negotiate on behalf of a purchaser for an aircraft I have for sale. Some of these transactions succeed, but one such trade recently fell apart during this process. My friend was acting on partial and speculative market data, and I believe this turned out to the disadvantage of his client. Both buyer and seller missed what I think was a very sound deal. Well intended individuals are giving opinions of the current market value of aircraft, and also providing recommendations on offers and negotiations. The problem is this is not their area of expertise. They may not even have as much experience as you, the reader, with negotiation. They may have downloaded the latest bluebook software and are using partial, historical data at best to provide incomplete market information to you, the buyer. It’s like trying to make a recipe with only the ingredients list…could be very hit or miss. The general aviation market is changing at a very fluid rate. Some markets change weekly. Some markets vary widely in demand from older vintage to more recent models. It’s not always rational either. It takes constant exposure in these markets to remain fluent. It can’t be done based on a generic formula you can apply to the whole marketplace, as wonderful as that might be if it were true. A flight instructor is a wealth of aircraft/systems knowledge and guidance. He or she need not be a great negotiator, nor must they be a sales expert. He or she should know the latest accident/incident reports, and those findings should be incorporated into their training material. Though they have flown airplanes old and new, they may not appreciate the changes in demand from a 1998 model to a 2013 model. They may not know the actual dollar value of a strong maintenance history versus a mediocre maintenance history. They may not know the difference in value between a repair using factory new parts at a top notch repair station versus a repair that was done to minimum criterion by a shade tree mechanic. These things are very hard to quantify and they can get lost in the analysis. Additionally, a buyer’s or seller’s emotions can derail a transaction if not managed judiciously from the beginning. When a few of these factors come into play, a good transaction can be jeopardized, especially when it’s not being handled by a seasoned professional. Hire someone to do what they are best at doing. If it’s an instructor, hire them to instruct. If it’s a maintenance facility, hire them for maintenance. If it’s acting as an acquisition agent, hire them for acquisition. Please, don’t use a great maintenance guy or instructor as a mediocre acquisition or sales agent. They may persuade you on it for a reasonable fee, but it usually will cost you more in the end. You may move through a couple of failed deals learning the hard way, and end up settling on an inferior aircraft when you’ve missed the best candidates. If you don’t know, ask. Get references if you’re thinking of contracting with someone and you have questions. Talk to some of their clients who have had similar transactions to yours. Don’t make it harder than it is. With a good acquisition agent or aircraft dealer, you may not need to bring in a contracted professional for every aspect of the transaction. Often, these agents will have a great network of pre-existing trustworthy relationships, from escrow agents to ferry pilots, that will serve you well. If you know them to be trustworthy, rely on the guidance they give you and don’t let your emotions or pride take over and jeopardize the deal. Many deals stall hundreds of dollars apart because the parties get their eye off the ball and dig in just when a good purchase is about to happen. Negotiate in good faith. Chances are if you’re looking to take unfair advantage of someone and steal their plane from them at an unfair price, you will end up with a lost opportunity or a bad purchase because you ran after the lowest price. In my experience, the best deals are when both buyer and seller are stretching a bit farther than they think they can. If you see that happening, press on. Avoid a conflict of interest. If a seller is also seeking to act as the pre purchase inspection facility, perhaps you should consider a nearby third party inspection facility in neutral territory. At very least have your mechanic step in and oversee the inspection at the seller’s facility. 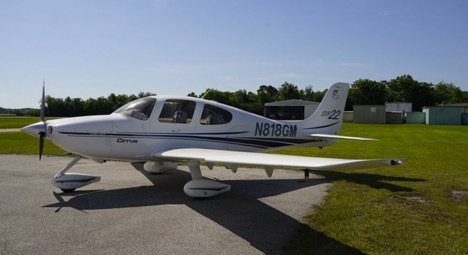 If your inspection facility also happens to have comparable aircraft for sale, they may have a conflict and be biased to discredit any other aircraft, no matter how good it is, in order to sell you their own. Follow your nose. If you smell a rat, it’s probably a rat. There are, sadly, a few unsavory characters in the Aviation Sales business, and they are skilled at developing your trust and confidence. A few well placed inquiries on your part can go a long way. Deal with someone you know firsthand or someone with a solid industry reputation. Aircraft sales veteran Gordon Ramsay has joined the sales team at Lone Mountain Aircraft. Gordon was formerly the Piper Program Manager at Columbia Aircraft Sales. Gordon brings over three decades of aircraft sales experience to the team having started in aircraft sales at the age of 16 years old. He is an experienced pilot with Single and Multi-Engine IFR ratings. He is qualified in the TBM, Piper Mirage and Meridian, and has experience flying most piston aircraft. Gordon will continue to be based near Hartford, CT. at the Salmon River Airfield where he lives with his family. What aircraft are you interested in?